Neutral colors for Fall are a must! Here is a fun makeup tutorial inspired by the gorgeous Kylie Jenner. I drew inspiration from her simple yet attractive makeup. The way she applies her lipstick is flawless. She wears it very naturally, to highlight and enhance your natural beauty. In this tutorial I am using all Rimmel London products, including some I can’t live without, especially for a girl like me with oily skin. My two favorite products were the Stay Matte Foundation primer, which can be worn before your liquid foundation or alone, and the Lipstick in Dusty Rose. It’s perfect for an everyday look. Comment down below and tell me what your favorite Rimmel London products are. Disclosure: This post was sponsored by Rimmel London Rockin’ Curves through their partnership with POPSUGAR Select. While I was compensated to write a post and create a video about Rimmel London, all opinions are my own. Hi Belinda! 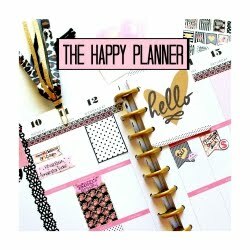 Im searching for a really cute purse that I can also fit my Erin condren planner. Do you have any suggestions where I can look? ?